Healing Arizona Veterans (HAV) is a a non-profit 501C3 corporation with the focus on helping Arizona veterans, and others as appropriate, suffering from TBI (Traumatic Brain Injury) and/or PTSD (Post Traumatic Stress Disorder) to heal. "We pay to treat veterans suffering from TBI and PTSD conditions utilizing HBOT and supplementary therapies, at private facilities funded by private-public partnership. Healing Arizona Veterans (HAV) is a a non-profit 501C3 corporation with the focus on helping Arizona veterans, and others as appropriate, suffering from TBI (Traumatic Brain Injury) and/or PTSD (Post Traumatic Stress Disorder) to heal. HAV pays to treat veterans at private facilities in Arizona, by providing HBOT (Hyperbaric Oxygen Therapy) supported by nutrient optimization and adjunctive therapies to help the healing process. The grassroots volunteer organization, founded in 2014, is dedicated to helping our veterans to heal from their TBI/PTSD conditions suffered during wartime. Realizing that the Federal Government is not supporting HBOT for treating TBI, and may not do so in the foreseeable future, a number of states have undertaken a grassroots effort to provide HBOT to their veterans. Oklahoma was the first, establishing a Patriot Clinic in 2014 and treating over 400 patients since then. Texas and Indiana passed legislation in 2017 to pilot this treatment. Kentucky is undergoing this process. Fourteen other states are evaluating doing the same. Arizona’s approach is slightly different. 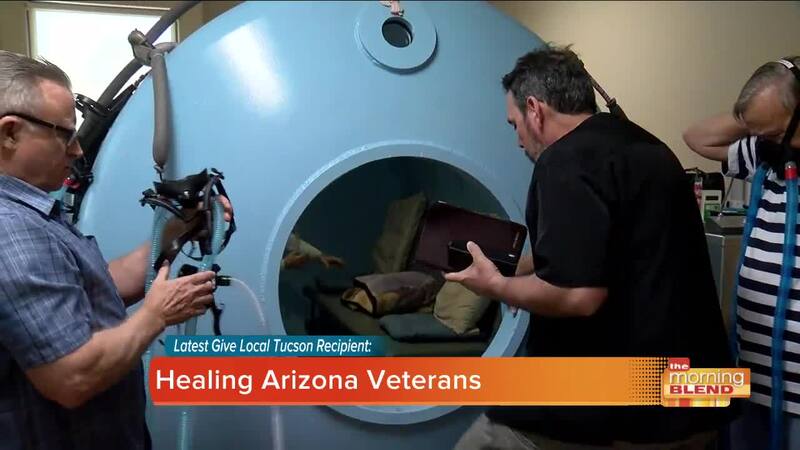 An effort is being made to set up a Private-Public partnership to provide funding for treatment of veterans at two privately owned and operated, six-person HBOT chamber locations, oone in Tucson ( NorthStar Hyperbaric ) and another in Cave Creek ( HBOT of Arizona ). These two large-capacity chambers can treat close to 300 patients annually. Other providers will be added as the need for treatment grows. Healing Arizona Veterans (HAV) will pay to treat veterans at privately operated HBOT providers. The costs to fully treat a veteran are $12,000 (80 sessions at $150 per session). HAV will begin treating veterans as the donations come in. HAV will track cost and clinical indicators, before and after the treatment, utilizing mainly objective measures (MRI-DTI and others). After the first 50 veterans are treated, the results will be compiled and made available to current and future donors to demonstrate the returns they are receiving for their donations – “Treat and Track”."